Frank's Family Car Care's technicians have years of experience and knowledge working on Buick vehicles in the Port Charlotte, FL area. They are ready to complete and meet any and all Buick maintenance needs. You don't have to worry about any engine or transmission problems cropping up in your Buick, because our team of highly-trained service technicians understand that your Buick is more than just another vehicle. Buick is the definition of understated luxury that bridges the gap between the mainstream Chevrolet brand and the much more expensive Cadillac nameplate. The brand has been around for more than a century and has presented car enthusiasts with legendary vehicles that toe the line between affordable luxury and sportiness. At Frank's Family Car Care in Port Charlotte, FL, we can provide the service required to keep your Buick in great shape for years to come. We here at Frank's Family Car Care are ready and waiting to fix your Buick. 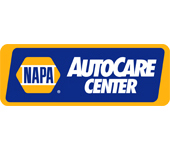 We want to get you and your car back on the road as quickly as possible. Not having your car can be a bummer, and our staff is trained to fix your Buick promptly and efficiently so you can get on your way worry free. Frank's Family Car Care prides itself on friendly staff who are not only waiting to fix your car but take the time to answer all your questions and concerns. Be sure to give us a call at 941-766-8622 today to schedule an appointment or stop by our service center. We're waiting to meet your automotive needs. I was very impressed with Frank standing by his work I will go back to them again and again if needed and they will work on your vehicle until they have it done right. And they do it with a smile on their face very nice people very good experience! My first visit was awesome! I highly recommend to those are reading this review! Very straight forward and honest ppl! My problem was found and fixed with a hour! I'm so pleased, so now I have true mechanic next will my silverado! I thank you and will be back!! Great customer service! Traveling for work we had a flat tire and brought it to Franks and he hooked us up! Highly recommended! Took my vehicle to be serviced , JIM B. did an excellent job. changed oil and filter and rotated tires . Told me check engine light was on and need down stream O2 sensor. Gave me estimate . Joe was very professional and friendly. Recommend Frank car care to everyone !! Thank you !! Can't say enough to compliment Joe and the whole staff for taking care of my car and making me feel special. Thanks to Krista for excellent customer service and also to JD. My car was fixed and they were just a pleasure to be around. Very clean waiting room and rest room. 5 star service for sure.. Thank You!!!!! I am writing this note to you for my appreciation of your business. Frank's performed a thorough inspection on a 2014 Equus for me. Your professionalism and kindness in performing this valuable service for a person from another state speaks volumes about your integrity. Joe and Krista represent nothing but the best in customer service. I came down from Atlanta (8hrs/550 mi.) for a quick weekend visit to see my sister. On the way down our 2000 Toyota 4Runner started having a serious rumbling vibration, so much so that I thought the transmission had gone bad. It was 4 pm on a Friday and the ad for a nationally known transmission shop stated they were open till 530pm. At 430 I arrived to find this establishment closed tighter than a drum. However, there was another car care shop in the same shopping center, unknown to me, named 'Franks Family Care'? I went to the office and was pleasantly greeted by a young female who I don't remember her name, and told her my story. Although it was their closing time, they took my car in and stated they would take a look at it. Still working to finish the days business, they diagnosed the problem, and told me it was not needing a new transmission. Gave me an estimated cost, but were not open on weekend. The head mechanic who I believe was Joe was kind enough to recommend another shop and even called and left them a message about the situation. Although, I never really had any any car work done by this shop, they were so nice and pleasant, and went that extra mile for me, an out of towner, and not a regular client, I would recommend them to anyone! I'm planning to move to Port Charlotte and plan to use them exclusively in the future, they were/are a 5 Star service center in my book! I was very impressed with Frank's Family Car Care. I recently bought a high-mileage diesel pick-up, and Joe gave me great and honest advice about the kind of service I should be doing on it--and, importantly, what kinds of service are more hype than help. After unpleasant experiences with a retail chain provider, I was very surprised. These employees were very courteous & professional. I highly recommend Franks Family Car Care. I really want to thank Joe and the Frank's team for going above and beyond getting my vehicle ready for a roadtrip to Arizona !! Joe took the time to understand why the trip was necessary and how the need came about. He took the time to point out things dealing with my mother-in-laws vehicle and checked things above the norm. I would recommend Frank's, Joe to anyone and everyone !! Thank you Joe on behalf of my family !! Praying for yours !! I can't say enough about Joe and the crew @ Frank's! My family and I have been taking our vehicles there for many years now. Joe knows his GM (General Motors) vehicles! We are a GM family, old and new and I would ONLY trust him and his crew to touch my vehicles, especially my 2 vintage vehicles (72 Chevelle and 67 Pontiac GTO). Fair prices, up-front and honest about everything and most importantly, they stand behind their work. No hassle! Thanks Joe! We're so happy to have you and crew to take care of us and our vehicles! Just brought our 06 BMW in for a routine checkup. Joe the manager is such a professional, considerate guy. He does the work professionally and at a fair price. Sometimes I sit and wait. Then is when I really see some real stupid people come in yelling about their car, lying to Joe on what they have done to their car, then writing a bad review because he caught what they did. They are totally wrong. Joe is the most honest car care guy who cares about his loyal customers. We even bring our 1966 Mustang for things to be done to it. Since that is our second car we tell him no rush if something comes up that has to be done go ahead and do it and let our car sit. We have recommended him to many people including family who now take their cars exclusively to Joe. We can not say enough about Joe's good work. If there are people that write a bad review about him, it's because they tried to put something over on him and was caught. Joe is AAA1 in our book. Thanks Joe for everything! My husband & I have been taking our automobiles for service to Franks Family Car Care for years and have always felt that we were treated very fairly and Joe is extremely knowledgeable, professional and he always has addressed any issues with confidence and professionalism. We highly recommend that nobody should hesitate to use Frank's for all their automobile needs. Excellent service and explantion of technical issues. Quality of work always speaks for itself. After some fairly major work at Frank's, the engine in my 1974 Eldorado has never run better. I will not trust this classic car or any other car to anyone else! Joe and his crew know cars, old and new. I am very particular about the skill level of any mechanic working on my vehicles. Detailed explanations of problems and possible solutions, as well as getting the work done at a fair price. Frank's gets my vote hands down on all three! Joe and his guys went above and beyond in helping me upgrade the front suspension on my 55 Chevy. Thanks for the attention to detail and great work at a very fair price. I'll definitely recommend you guys and be back for the next upgrade. Extremely knowledgeable, professional and friendly!!! Frank's Care Care has helped me with my auto repairs and has always detected the problem accurately and performed the work for much less money than my dealership. They are a pleasure doing business with!!! I always appreciate the honesty provided by the service staff. Frank's Car Care is a real gem. They try their best to get you in when you want an appointment. We have been going to them for over 2 years. It has been the best two years for our cars. One is a BMW and the other is a 1966 Mustang. He takes his time when servicing them. He does not put in cheap stuff that does not last and sometimes even goes above and beyond what he is told to do when he thinks it will do more good for the car. He always calls if a part is more then what is expected. He has very reasonable rates for his work and we are never afraid to leave our car over night. Highly recommend him to anyone who wants an HONEST Mechanic for their vehicle. Took my car to Franks for exhaust work. Joe called me back after checking, and advised me exactly what was needed. Work was done to my satisfaction and in a timely manner. Exhaust parts, including a new catalytic converter, were very expensive, however, labor costs were kept low. I will definitely go back to Franks for my auto repair needs. It is always a positive experience. Joe and his guys care about you and your car. The work is always exceptional. Joe is AWESOME. He took the time to explain to me what he needed to do and why. Never lost his patience with me and researched some of the problems my car had. He is very knowledgeable , honest, and fair. Not only did he do a great job, but he called me back later to make sure everything was working fine! Great service as always, Thanks Joe! My Family has been coming here for years and we will continue to come here! Work was complete and on time. Plan to use this repair company in the future. Expert service. Fixed problem in a timely manner and follow-up service was great. Joe is very good to deal with and has a great bunch of guys. Fair, quick and efficient repair with no hassle. Courteous, prompt and right on the mark as usual. 100% satisfied every time. Joe, the manager was very helpful in getting my wife's GMC A/C fixed and took us in right away. While he was doing the work he recommended a restaurant-kudos for that. Fast and professional service. I will definitely bring our cars back here for service. Great service and reasonable prices. From now on I know where to go for service for my truck. Thank you. Franks Family Care and their representative Joe extremely professional, helpful, and thorough. I couldn't be more please with how much better my vehicle drives since visiting them. I had several things repaired on my car, and they were all done for the price quoted. Joe is the best, he always provides excellent service! Like always my experience at Frank's Family Car Care Inc. was amazing. My car was in great hands and I will always trust Frank's Family Car Care with my car. Awesome shop! Joe was friendly and honest, and did great work. He went over and above providing excellent customer service. This is the place to go in Charlotte County. Great service and great communication. My car hasn't run this well in years! I will definitely take my car back to Frank's Family Car Care Inc This was my first experience leaving my car in their hands to repair several problems. They were knowledgeable and courteous . It was good experience. Great experience...a trustworthy establishment! I will be back for all of my repair and maintenance needs. Everything was done in a timely manner. And very professionally. I know this because I spent most of my career in the technical repair business,in customer service.So I can be a critic.They immediately ordered parts.They took me right in and finished a rather heavy repair,as soon as possible. Also picked me up at my home and returned me to my car when it was finished. Joe was very helpful and courteous. Set up next appointment. Will def refer anyone to you. Thank Sara B. for referring me to Franks. I will definitely return to Frank's Family Car Care! Everyone was very nice! They had my car fixed very quickly and provided me with a courtesy car until they finished up with mine! I would recommend this place to anyone!! In my business I rely heavily on my vehicles. Joe at Frank's has taken care of all my vehicle needs since I opened and has always gone above and beyond to take care of not only my business, but also my personal vehicles. I couldn't have asked for a more trustworthy company to take care of all my vehicle repair needs. I highly recommend them and won't go anywhere else! You can't beat great prices with great service and locally owned and operated! We have been going to Frank's for three years. Can not say enough about his fair prices and quality work. He does not cut corners and will go the extra mile for your car. He treats your car as if it was his own. When he works on our cars, a 1966 Mustang and a 2006 BMW, if he finds it needs more than what we went in for, he calls to tell us what is needed, why and what the extra cost would be. We would not trust our cars to anyone else. So glad that we found him. Very honest, friendly and passionate about their work. Great service and helpful, knowledgeable staff! Frank's Family Car Care always takes care of my car. I wouldn't trust anyone else with my family's vehicles. What is the best is, they tell it like it is. They let you know what should be done, what needs to be done, and what will need to be looked at in the future. I recommend them to everyone I know. They found the problem and fixed it for a fair price. It's been over a year and my Acura still shifts like butter. I'm very pleased with Frank's. I have been a customer of Frank's Family Car Care for a few years now, and will remain a customer for as long as I am able to drive!! Joe and his guys are top notch on all levels. Customer service, prices, standing behind their work, timely repairs, supplying either a ride or a courtesy vehicle while repairs are being done, and the big one, HONESTY.. where will you find another shop like this? NOWHERE!!! Nobody else will ever touch a vehicle of mine again except for the staff at Frank's... 10 stars out of 5 for these guys!! !